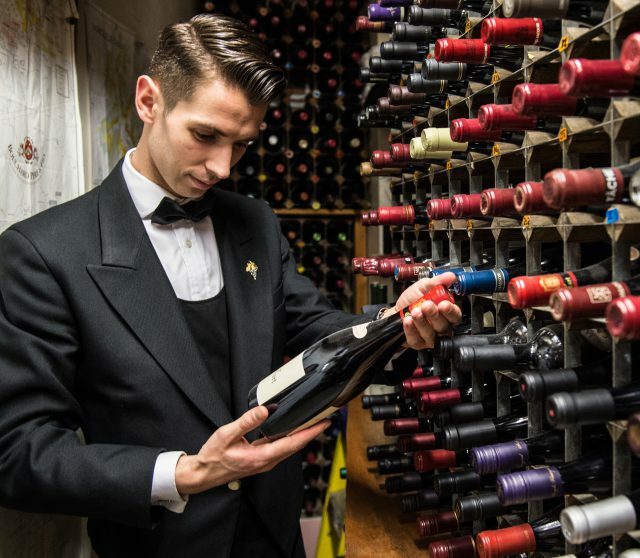 Gunning for the best name in London’s fine-dining scene, Jean-Baptiste Lemoine works closely with Chef Shay Cooper to select the best wines from The Goring’s wine cellar to perfectly complement each and every dish. Like most of our influencers, his love of wine was sparked at a young age, and he realised he wanted to work in the industry when he was 16. “I have always been interested in history, geography, theatre and, of course, wine,” he says. French-born Lemoine trained as a sommelier in Brittany, before moving to Monaco in 2012 to work as a commis sommelier at the iconic Hotel du Paris. Two years later, Lemoine landed in London and joined The Goring. Lemoine is as studious as he is humble, and says the biggest misconception the public have about those in the wine trade is that staff are “born with an extra sense, like a better nose or palate.” He counters this notion: “This is all about practice, reading and visiting as many wineries as possible.” On the subject of practice, while many sommeliers love to serve, others seek to learn. Lemoine’s favourite part of the job is tasting wines with his team at The Goring. Not only do they all share a common passion, but he says that they also exchange different points of view and inform each other. Education is at the heart of this oenophile’s role, and Lemoine believes it is a sommelier’s duty to inform and enlighten their dinner guests. As London’s wine-loving consumers have become more informed and adventurous in their choice of wines over the years, Lemoine says he’s only grown to love working in the city more. UK drinkers, he says, aren’t scared of trying something slightly unusual.